At the end of this post look for a video I embedded of a favorite YouTuber ZoneofTech discussing what Apple’s September 12th Live Keynote will entail. I was pretty surprised to discover today that there’s a feature of ios 10 I almost missed shortly before ios 11 is launched. Call Announcements or Talking Caller ID. This neat feature appears to have flown under the radar for a lot of iPhone users. More importantly it also applies to iPad users too as long as you’ve enabled phone calls to be routed to your iPad as well. Since I use both I’ll run through how to setup this up on both devices. Having callers announced out loud to you can come in really handy if you usually find yourself in situations that makes it difficult to drop everything instantly and answer the phone as soon as it rings. It gives you the opportunity to either answer quickly to arrange a callback in a few minutes…or to decide if you even want to talk to the caller. Regardless of the type of phone call involved…in my family, no one ever seems to actually answer a phone call immediately. I really think it’s generally just a timing thing. Because what almost always occurs is that someone calls someone else…they don’t answer so they leave a short message…and the callee calls back within 5 minutes without ever having listened to the actual message. I’ve always wondered if that’s pretty typical or not…if you can shed any light on it let me know in the comments way down at the bottom of the page. At home we have a nifty little device that plugs into one of our cordless telephone bases and announces out loud who’s calling whenever our landline telephone rings. This is great for me because I’m the most time challenged member of my family! When it comes to answering phone calls it’s difficult for me to act immediately for one of 2 reasons. Either I’m in the middle of writing something and tearing myself away mid-sentence has more negative consequences than waiting until I’ve completed my thought does. 2nd, no matter how quickly I may act, I rarely can physically make it to the phone to answer the call before it’s gone to voicemail. So, we’ve setup our answering machine to allow 6 rings before it kicks in to answer. 6 rings is a great number to use because it gives me time to get within hearing range of the talking caller ID and find out who’s calling. Also, I’ve learned that it’s a good number to use for blocking out most telemarketing calls. Most telemarketers will hang up after 4 rings (or really on the 4th ring,) I suspect because that’s the default number of rings that most answering systems are setup for out of the box. I’ve always wished I could setup a similar arrangement for incoming cell phone calls. It turns out I can…sort of! The steps are pretty simple…I’m not entirely sure why this seems to have flown completely under the radar for almost a year…and in fact just a few weeks prior to the launch of ios 11! That’s all there is to it! Now, whenever someone calls you you’ll have a spoken Caller ID message announcing the caller. In some of the screenshots above the purple arrows show you were to find WiFi Calling Settings on your iPhone. When you enable WiFi Calling your iPhone will use any WiFi it’s connected to improve the quality of the phone call if you happen to not have a great cell phone signal wherever you may be. 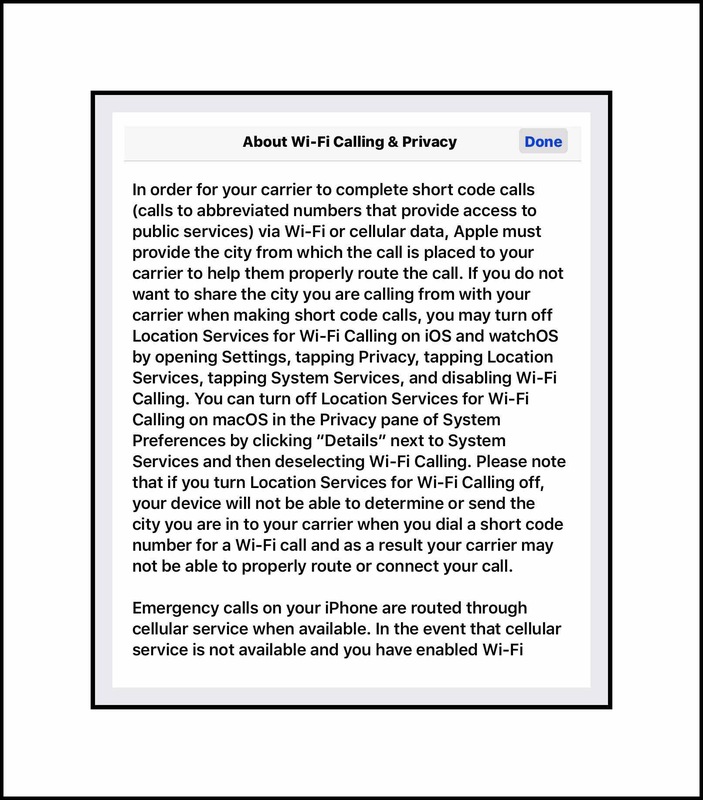 Here’s a link to Apple’s instructions for setting up WiFi Calling. I also made a PDF of the steps you can download here. If you happen to get a new device that you want to setup WiFi Calling for and you get an error message telling you that you’ve registered the maximum number of devices allowed to you for WiFi Calling…follow the instructions in the screenshot below. If you’d like to read other’s comments, or leave a comment yourself, please do so by scrolling way down this page…past my bio, past the WordPress ads, and past the Related Posts section…to the little Comments box. 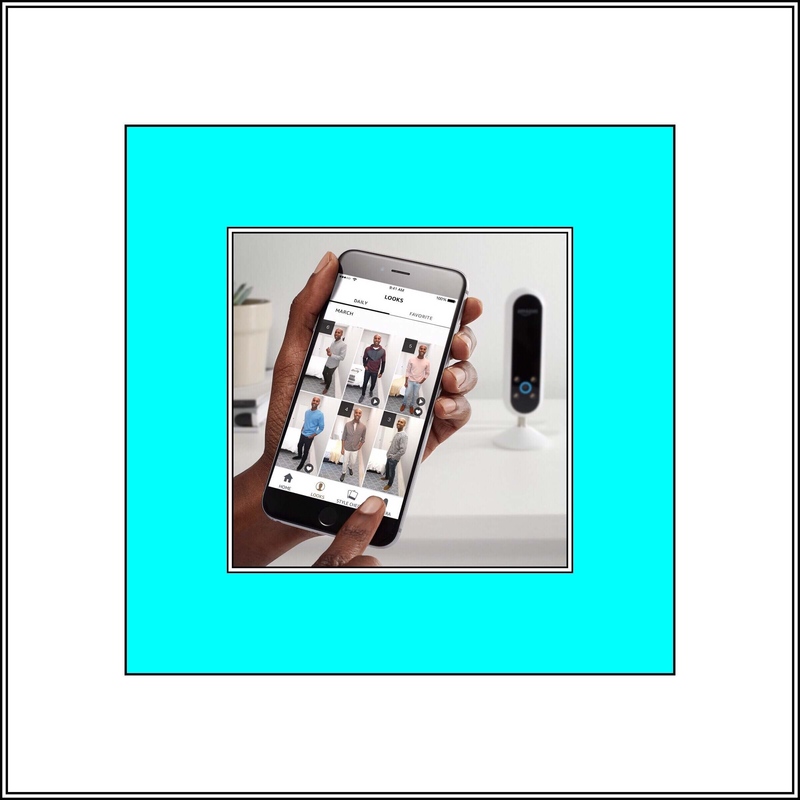 This entry was posted in Apple apps, iPhone Tips, Tech Tips and tagged ios 10, ios 10 Tips, iPad Tips, iPad WiFi Calling, iPhone, iPhone Call Announcements, iPhone Talking Caller ID, iPhone Tips, Siri Call Announcements, WiFi Calling. Bookmark the permalink.